I think it may be a navy blue summer. I keep finding myself buying navy blue. I am so attracted to this color this year. Last week I purchased a navy blue and white retro bikini as well. I'm crossing my fingers that the swimsuit works out. Someone please kindly tell me to stop if it just gets ridiculous. I usually have this issue with leopard prints, but I guess I've graduated to navy blue. 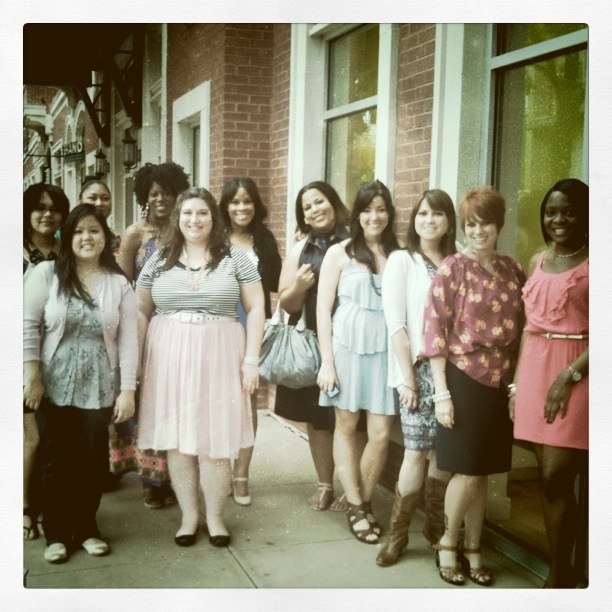 Anyways, this Saturday Elissa from Dress with Courage put together a meetup for the DFW Bloggers. The day started at Ann Taylor Loft. They actually opened the store up 1 hour early for us to shop with 40% off. I am a fan of the Ann Taylor brand, but I did kindly leave my store card at home...Im trying to learn restraint. I picked up a couple of pieces. Top - Isaac Mizrahi for Target ~ This was actually a DIY Project. This top was a dress that was too small...LOL...so I cut the bottom and made it a top. It was nice to see the girls again and to meet some new faces as well like Nekiah from the blog "From the Rez to the City." She definitey has a unique point of view. After the shopping we participating in bottomless Mimosas (Drink Responsibly) at the Lemon Bar in West Village. It's a swanky little place. 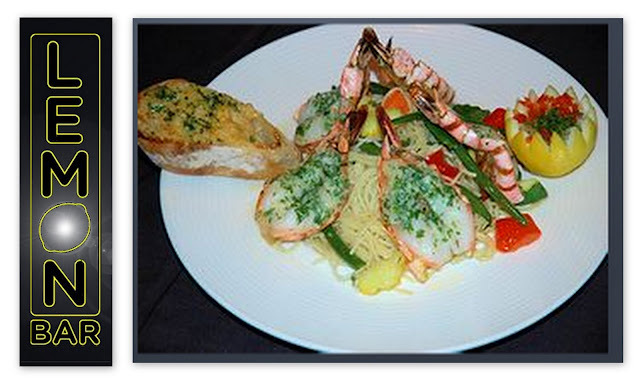 I recommend the Garlic Shrimp. Summer is bringing back all those fabulous colors have been in hibernation. What colors can you not stay away from this Spring/Summer? Also, the DFW bloggers meetup is definitely open to all DFW bloggers email me if you would like to get more information. I love this!! I really like navy blue, and I love that your top was a DIY! I have an Isaac Mizrahi for Target dress that I can't fit up top anymore that I want to turn into a skirt. This looks like a lot of fun; we need to do one in Houston! I had a BLAST! And I LOVED the navy on ya chica! I thought that was a dress!! Very nicely done... Lucky you that you could fit in some of Anne Taylors stuff. Don't they only go up to a size 16? I wouldn't have been able to get anything anyway. 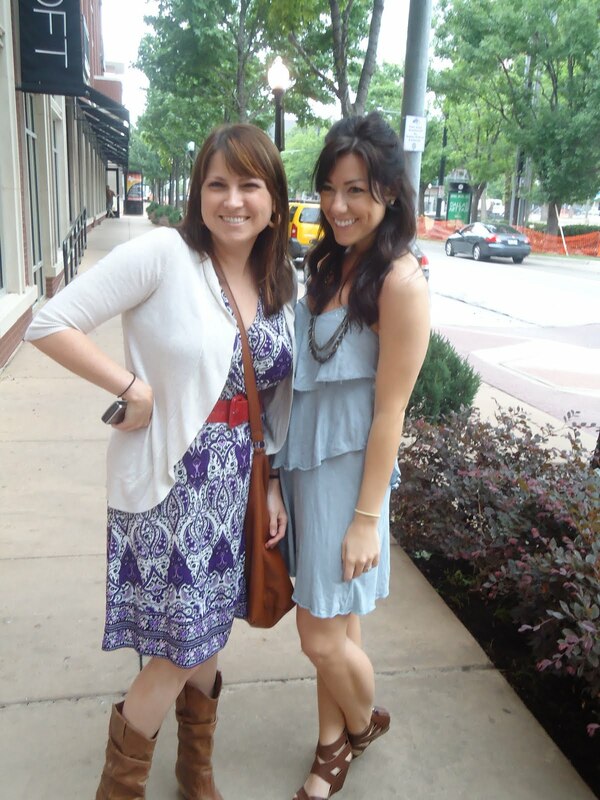 Great way to network, I wish they would have a DMV blogger meet up, that would be fabulous... Again, adorable outfit!!! @Literal Gemini, Ann Taylor goes up to 18 and XXL, albeit online. I've got several dresses and tops in that size.